When we renovated our kitchen, we added a counter next to our eat-in area. We have yet to buy bar stools for it but may consider the Bayside Furnishings Counter-Height Stools (2-pack) from Costco. For less than $80 for two, you really can't go wrong. Everyone knows that the kitchen is the most used room in the house especially during parties. No matter how good you clean and decorate the rest of the house, everyone still seems to flock to the kitchen. So you will need as much seating space as you can fit. 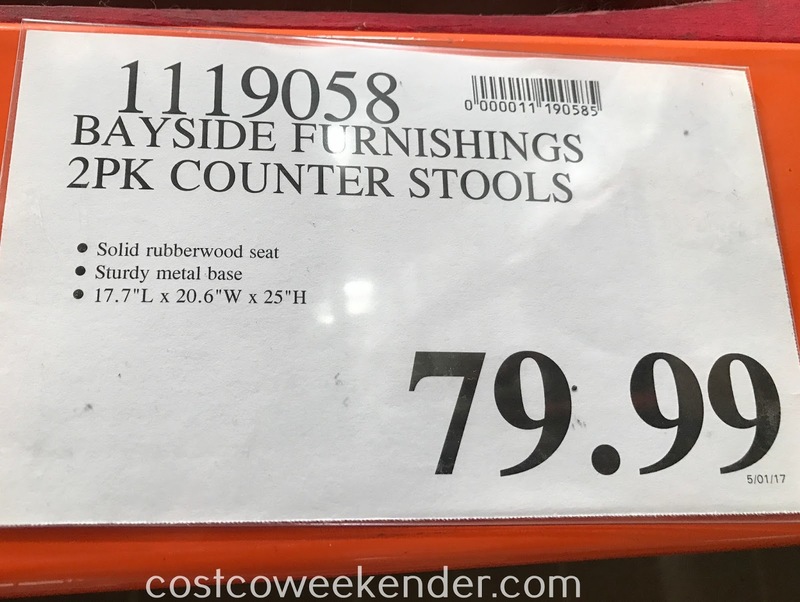 If you have a counter like we do, then add the Bayside Furnishings Counter-Height Stools (2-pack). In our kitchen, the counter has a clear view of the stove. 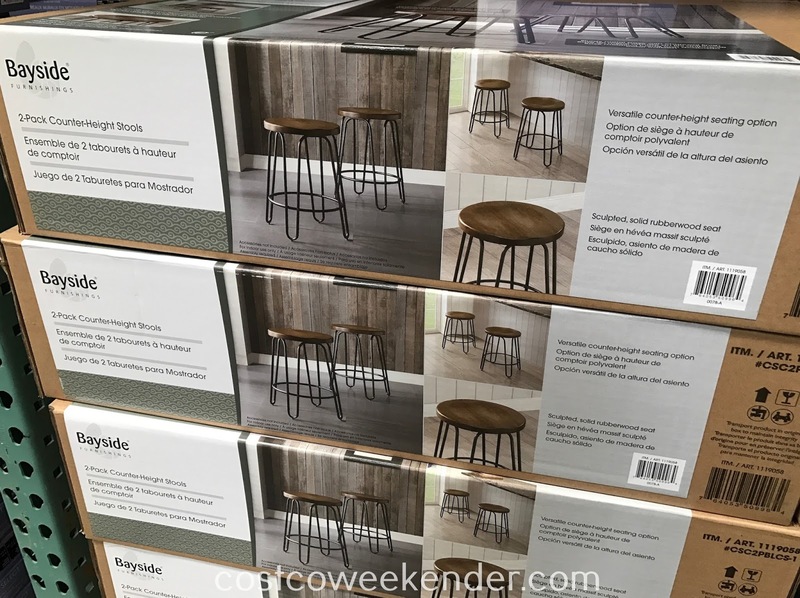 So when cooking, you can still entertain guests as they are sitting on the Bayside Furnishings Counter Height Stools. The stools are simple yet functional. So forget the folding chairs. 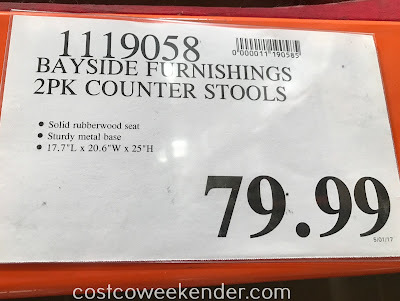 Invest in the Bayside Furnishings Counter-Height Stools (2-pack).